Matthew Brewer is licensed to practice law in all Illinois Courts, the U.S. District Court and before the Illinois Workers Compensation Commission. His areas of focus are Personal Injury and Workers Compensation. Known as an aggressive litigator, Matthew has taken many cases to trial and obtained substantial awards for his clients. A graduate of the Southern Illinois University School of Law, he was named an Emerging Lawyer, a distinction awarded to the top 2% of lawyers age 40 or younger. 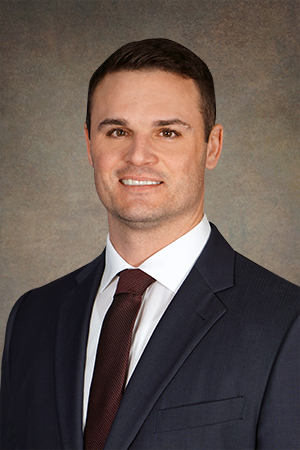 During law school Matthew was president of the Sports Law Society and prior to his legal career played professional baseball in the Arizona Diamondbacks organization. Low back strain with permanent restrictions which prevented the client from returning to his prior occupation. Industrial worker who sustained torn meniscus. Petitioner returned to his prior job full duty. Petitioner suffered an injury to his right knee. Surgery was performed and the Petitioner was given permanent restrictions which prohibited him from returning to his prior position as a semi-truck detailer. Petitioner sustained a quad strain from a work-related accident. Petitioner underwent an FCE and was given permanent restrictions which his employer could not accommodate. Settlement was for a present cash value of a wage differential. Plaintiff was riding a motorcycle when a backhoe operated by a municipality employee ran through a stop sign colliding with Plaintiff. The Plaintiff suffered severe injuries including a right femur fracture. Plaintiff was life-flighted to a local hospital. Plaintiff recovered completely. Plaintiff was involved in a low impact rear-end accident that caused several thoracic spine fractures. Plaintiff had a good recovery. Plaintiff was t-boned and suffered a fracture to her left arm. Plaintiff had a good recovery and the Defendants insurance company tendered the policy limits. Plaintiff was a passenger in a vehicle that struck a light pole. Plaintiff suffered a broken nose and had several teeth knocked out. The insurance company for the driver of the vehicle Plaintiff was riding in tendered the policy limits.